If you love food and you’re looking for a family-friendly event near Phoenix, save the date for the Scottsdale Culinary Festival. This 40th anniversary weekend will be taking place on April 14th and 15th next year, giving you have ample time to coordinate with your loved ones. Because the city of Scottsdale hosts a range of culinary events throughout the year, you can stay up-to-date on upcoming ones to try new foods and have a great time with your family. The Scottsdale Culinary Festival is a great place to embrace your inner foodie and experience the city’s culinary scene, so mark your calendar today to witness this event. The Scottsdale Culinary Festival is a one-of-a-kind occasion that takes place during the spring in Scottsdale. Even though it’s known for its world-class food and drink, it also offers attractions for residents of all ages. You’re encouraged to munch on the most delectable dishes in the southwest while enjoying live music and more. Because the Scottsdale Culinary Festival commissions talent from the food and music industries, you’ll be taking in quality entertainment while tasting treats from the area’s leading chefs and personalities. 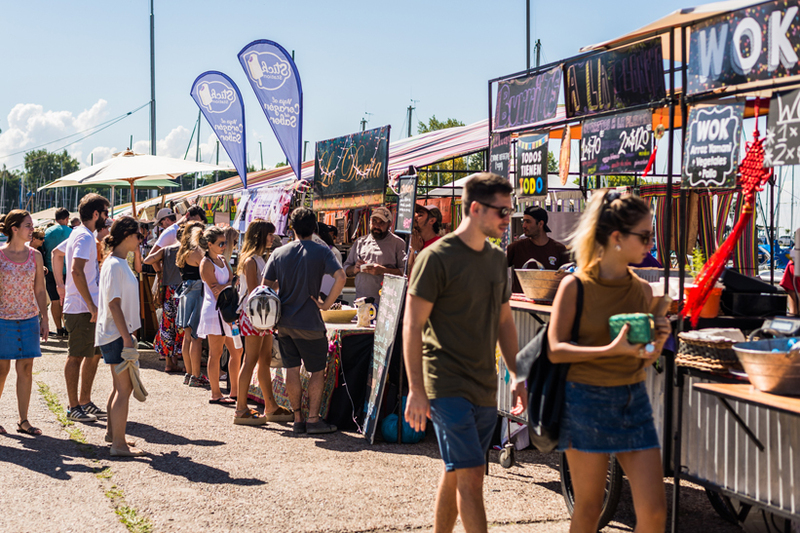 Alongside amazing eats from the finest chefs and restaurants in the area, the Scottsdale Culinary Festival provides a range of activities throughout its six-day run. You can join in on a series of gourmet dinners for a fine dining experience, or you can get up close and personal with the chefs at picnics, where they do their demonstrations of their work. Given that you can also attend various cocktail parties, you’ll have plenty of options when finding the best ways for you and your family to enjoy this exciting week in the heart of Scottsdale. The Scottsdale Culinary Festival is the largest fundraiser for the Scottsdale League for the Arts, an organization that supports the city’s local art programs. While the volunteers for this non-profit program work at different fundraising and special events throughout the year, this 6-day festival is their biggest and most important event of the new year. This organization brings awareness to and raises funds for artists, art programs and arts education in the city, so, in addition to trying new foods, you’ll be contributing to Scottsdale’s art scene. If you’re planning to get involved in the community, whether you’re new to the area or you’ve lived here for a while, attending the festival lets you lend a hand. For those who are already planning to go to the Scottsdale Culinary Festival next year, stay tuned to learn more details about the entertainment, chefs and personalities. You’ll be surprised by the food and drink at the event in 2018, and you can start educating yourself about the Scottsdale League for the Arts and more leading up to springtime. If you’re interested in stopping by this exciting annual event, keep checking the website for details about the locations, times and more. I would be happy to answer any questions you may have about things to see and do in Scottsdale, so please don’t hesitate to contact me today.